Who here really believed the world was going to end? I sure didn’t! As such, I want to celebrate the new year by giving you another exciting podcast regarding a very common topic: how do you attract women if you are shy? Looking back, it’s interesting for me to talk about shyness. At one point in my life, I used to think of myself as shy. I don’t ever believe I was a naturally shy boy but after moving to the United States from France at age 15, the culture difference is what made me shy. I remember myself to be fairly quiet with my own peers in high school. I was often seen as the funny guy in class but I never knew how to have a real conversation with students of my own age. Maybe it was the fact that I didn’t know anything about American pop culture at the time. I knew nothing about football, or common American sitcoms. I just didn’t know how to connect with my peers, which translated into me being even more uncomfortable talking to girls I liked. But many years later, after too many self-help book readings, I decided never to label myself as a shy boy again. 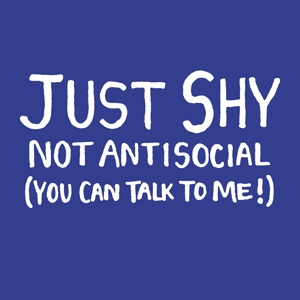 And that’s why I’m proud today to talk to you about how you can turn shyness into an advantage in dating. If you like the podcast, make a comment! Take this opportunity to also write about problems you have in your dating life and I’ll make sure to talk about it on the next show. In the mean time, you can also check out my brand new audio program Charming Rogue on how to develop a playful, witty, charming and seductive personality!